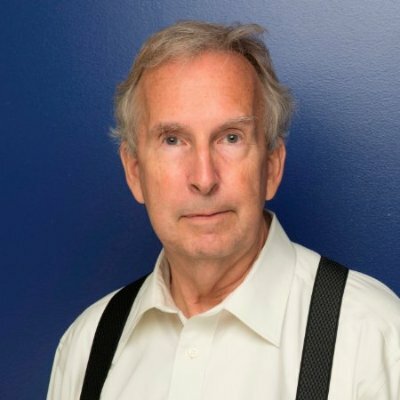 ConstructConnect's Quarterly Forecast combines its proprietary data with macroeconomic factors and Oxford Economics econometric expertise. The report states among major sub-sectors, residential construction’s 2017 y/y increase has been scaled down to +4.8% from +8.1%. The robust multi-family market of the last several years has been pulling back of late, as rental rates in many regions soared. Single-family starts also stalled, despite a need for substantial growth activity, since they declined so horrendously in the Great Recession. Also, new family formations, specifically among millennials, point to a tremendous potential that for the moment is not being realized. 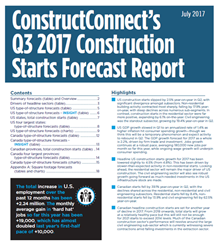 To learn more about ConstructConnect or get a free copy of the Forecast Quarterly Report, visit ConstructConnect Quarterly Forecast.